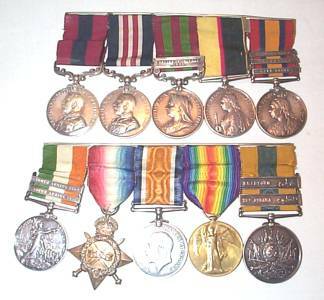 War Medals, Orders & Decorations from Southern Medals. Full money back guarantee. Welcome to our Southern Medals 2015 catalogue - Orders, Decorations & Medals to add to your collection. We have a superb selection of over 800 Military War & Civil Medals, Orders & Decorations from the 1800's to date for collectors to browse at leisure and add to their collections. We are keen purchasers of all Medals, Orders & Decorations. Military & Civil. Our commission sales service is a very cost effective way of selling your single items, groups and collections. Please email details to SmedalsJ@aol.com for an immediate offer. To view the complete listing, of the category of your choice, please select the appropriate heading. The Medals Index may also help you find the correct category. WW2: Orders, Decorations & Meritorious Service.